The formula industry has responded to the decline in sales to white women at home by ramping up its marketing to Black and brown women overseas. When the United States threatened Ecuador with trade and aid restrictions if it did not withdraw a World Health Assembly breastfeeding promotion resolution that most people considered benign, if not banal, reactions ranged from shocked to amused. Experts explained that the U.S. resistance, although extreme, was nothing new. The United States previously demonstrated its allegiance to the formula industry by refusing to sign on to the World Health Organization’s Ban on the Marketing of Breast Milk Alternatives. This U.S. stance, like its intimidation of Ecuador, flew in the face of near universally accepted medical and scientific research proving that breastfeeding saves lives. Perhaps even more surprisingly, both acts perpetuate an alarming racial divide in breastfeeding rates that leads to significant racial health disparities. American support of the formula industry comes at the cost of the health and lives of Black and brown babies, at home and abroad. Both the resolution and the U.S. opposition to it stemmed from a decline in formula sales in the United States. The industry has sought to make up for its considerable domestic losses on the global market. The racial aspects of this local-global dynamic are hidden in plain sight. Is the Formula Industry Overpowering Breastfeeding? Yesterday global women’s and children’s advocates sounded the alarm regarding alleged strong-arming by US delegates at this year’s World Health Assembly (WHA) in Geneva. The issue at hand was the rights of women regarding their choice between breastfeeding and formula feeding. According to the New York Times, the US delegation sought to remove the language in a pro-breastfeeding resolution that compelled countries to “protect, promote and support breastfeeding” and to remove any restrictions on formula that many global health experts contend is harmful to infants and toddlers. The US delegation threatened Ecuador (the sponsoring country for the resolution) with devasting trade measures and a reduction in military aid. Ecuador acquiesced as did many more African and Latin American countries until Russia stepped up to sponsor the resolution, a country the US could not threaten. Lucy M. Sullivan, Executive Director of 1000 Days, tweeted an entire thread about what was happening at the World Health Assembly in May. Mother’s milk has an enormous impact on child survival. While in Kenya it has improved over the past decade, the number of children who die before five years remains significant. The rate has decreased from 115 per 1000 live births in 2003 to 52 in 2014. Neighbors Rwanda (2008), Tanzania (2012) and Uganda (2011) have recorded 50, 66 and 65 deaths per 1,000 live births for children below five years, respectively. The main causes of childhood deaths are infections, preterm births and lack of sufficient oxygen, or asphyxia. 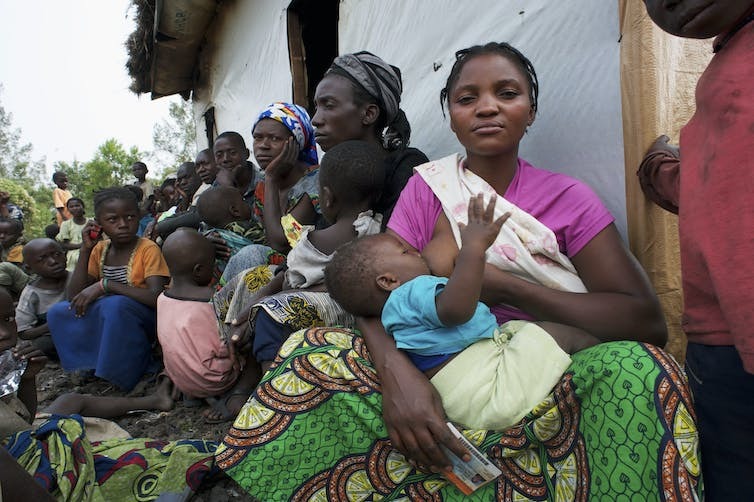 Breastfeeding infants on breast milk alone until they are six months old has been shown to reduce child mortality. When mothers can’t provide their own milk, the next best alternative is donor milk from other women. Access to “human milk banks” gives vulnerable infants, without access to their mother’s own milk, a healthy start to life. The milk bank concept was initiated in Vienna in 1909 and was preceded by a century old practice of wet nursing – a mother breastfeeding another mother’s child. Since then, over 500 human milk banks have been established in more than 37 countries globally in developed and developing countries. The pioneer countries include Brazil, South Africa, India, Canada, Japan and France. Exclusive breastfeeding is recommended up to 6 months of age. There’s a growing global recognition of proper infant nutrition in the child’s first 1000 days of life. This can be monitored through encouraging proper nutrition during pregnancy and the first two years of life for optimal growth, health and survival. Poor breastfeeding and complementary feeding practices are some of the common causes of malnutrition in the first two years of life. Breastfeeding confers both short-term and long-term benefits to the child like reducing the risk of infections and diseases like asthma, obesity, and type 2 diabetes. Mothers who breastfeed also lower their risk of developing breast and ovarian cancer, weak bones, obesity and heart diseases. For countries to reap the benefits of breastfeeding they need to achieve a baby friendly status. Kenya began promoting the baby friendly hospital initiative approach in 2002. It ensures that health facilities where mothers give birth encourage immediate initiation of breastfeeding and exclusive breastfeeding for the first six months. Unfortunately, this programme was only accessible to women who delivered in the health facilities, leaving out those who give birth at home. We conducted a two year study involving 800 pregnant women and their respective children in a rural area in Kenya. The study involved testing feasibility and potential effectiveness of the baby friendly community initiative (BFCI), whereby women in the intervention arm were given home-based counselling on optimal breastfeeding alongside health facility based counselling. These mother-child pairs were followed until the child was at least six months.